For each of the following titles I have provided a brief introduction to the story explaining how it came to be written as well as any issues that came up during the writing. I have also added the text of the opening two or three chapters. Unfortunately none of these books are currently in print, however since I hold all the rights, I would like to hear from any interested publishers. 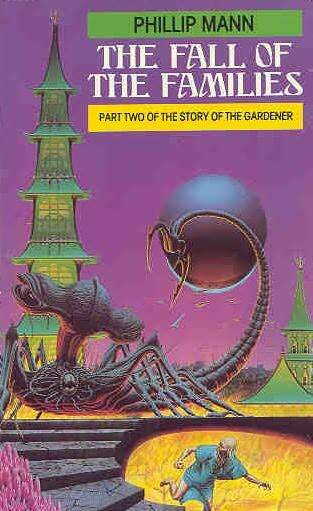 An account of the first major contact between an advanced alien civilisation and Earth. It reveals the experiences of Marius Thorndyke, Head of the Contact Linguistic Institute, who travels to the alien home-world, Pe-Ellia, and is himself transformed. At its first publication, this book was favourably compared to the work of both C.S. Lewis and H. G. Wells. The inhabited universe is dominated by eleven great Families, the members of which are all descended from humans. Alien species, having been savagely oppressed for ages are now plotting their revenge aided by a renegade of the Fifth Family – Pawl Paxwax, poet and lover. The book has been commended for the vast range of alien creatures it reveals. 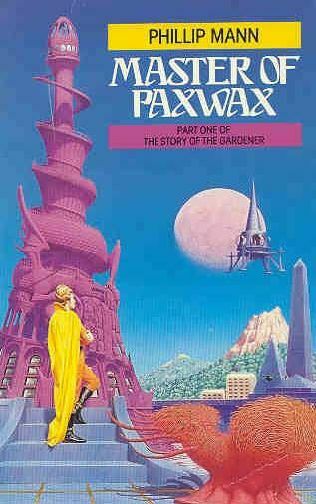 Pawl Paxwax is tricked into believing that his wife has been killed by one of the eleven ruling Families. Driven insane by grief and rage, he decides to declare war on the Families but in a covert manner. He enlists the help of the suppressed aliens and enables them to infiltrate the Families. As the destruction begins, he retreats to the planet called Thule, the creative centre of the galaxy, where he believes he can be reunited with his wife. In a strange way, his wish is granted. Hence the title. Angelo and Ariadne have been cloned for one purpose only: to bring back the early Pioneers sent out from Earth as part of a scheme to populate the galaxy with human kind. However, their task becomes more complex since, with each return to Earth, they discover in themselves a humanity which was not planned for by their makers. At the same time, it is evident that the humans of Earth are evolving negatively and the species is dying out. Angelo and his new partner Aira are guided to visit a strange planet called Rip’s World – Rip being one of the original Pioneers – and it is here that Angelo experiences his greatest challenge, the outcome of which will determine the fate of the entire Earth. The book tells the truth about the events aboard The Nightingale, the most advanced space ship ever built and the pride of the Mercy Fleet of the Gentle Order of St Francis Dionysos. The Nightingale, a hospital ship, build to return injured aliens to their home-world after the War of Ignorance, vanished without trace on its maiden voyage. A year after its disappearance it was recovered, empty of all life save for one creature, the captain, Jon Wilberfoss, and he was insane. The story is told by Wulf, the Autoscribe who conducted the investigation. The four books which constitute this story, all take place in a universe just a few seconds out of phase with our own. In this alternative universe the Roman Empire never fell and Christianity never became more than a minority cult. But as with us, more than 2000 years have passed since Caesar landed on the shores of Britain. Many things have changed but within the Roman political world, the sensual, corrupt and brutal way of living persists. Science has advanced after a fashion, but mainly to satisfy the whims of a mad emperor and the needs of the Arena. However, beyond the walls of the cities, Britannia is still covered with vast dense forests in which dwell the bellicose descendents of the conquered ancient tribes as well as some creatures from an even earlier and more mythic age. Here magic is alive and well, and thriving. The Roman capital of Britannia is Eburacum, which we know as the City of York and the entire story takes place in this small section which we know as North Yorkshire, including the wild Moors. But the book is not parochial, I assure you. I do not wish to explain the plot in terms of the individual books. I think that would be too difficult, for the plot is complex and has many threads and digressions which take one from (say) the world of high and bloody politics to a strange and moonlit world where the ancient spirits of the Earth, the dryads of the trees and magic still holds sway. Nor, despite a preoccupation with issues which trouble our world and a concern for philosophy, is this book wholly serious. Clowns operate at all levels of society. But finally I want to leave some surprises for those of you who choose to embark on the book, and you will not be able to predict the ending. Expressed simply, this is how the book gets going. 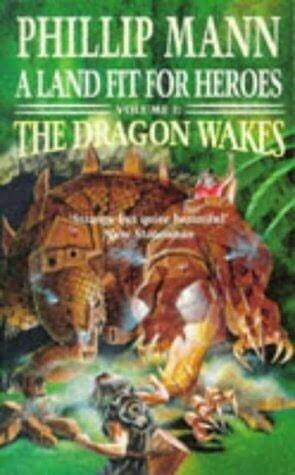 The four books are one book, and it follows the adventures of three characters who are thrown together by fate. First there is Viti, a young and handsome aristocratic Roman, son of one of the most powerful warrior/ politicians in Britannia, Marcus Augustus Ulysses. Viti is a trained fighter and one of the stars of the Battledome, which is the contemporary form of the old Coliseum. Here gladiatorial and chariot contests still persist – for the Romans are nothing if not conservative when it comes to tradition – but also it is a place where the old warriors can still fight, sitting inside custom-built mechanical, chariots which are built to resemble savage beasts. Next there is Miranda. When we first meet her she is an attractive young woman, innocent of things worldly and inexperienced in love, but who possesses latent within her mysterious talents which will, in the fullness of time, be realized. Viti rapes Miranda at a party held to celebrate his victory at the Battledome. Angus finds out and sets out to kill him. 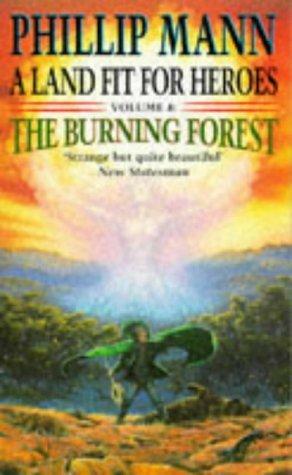 The plot backfires and Angus, Miranda and Viti are forced to escape together to the wild wood. There is no love lost between them, but pragmatism and a need to stand together amid this alien and threatening world, unites them. And it is there that their adventures begin. In the following books we follow their evolution to a point where the world almost ends. 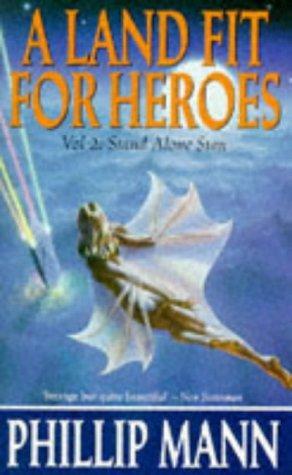 … here is a living universe with supernatural forces and entities that take an active part in the story. 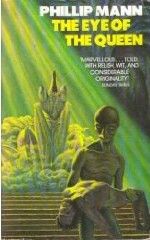 In fact, the events of these volumes convince me that the alternate history label is misleading and that the introductory talk of “parallel universes… just out of temporal phase with our own world” is really enabling language for a Tolkienian secondary universe in which supernatural or spiritual and not merely materialistic or historical forces account for the differences. Mann, like Tolkien is serious about his fantasy, though his cycle is pagan rather than Catholic: deeply sceptical of any society that gets too far away from the earth, that depends too much on mere rationality divorced from the intuitive, the emotional, the passionate. While the book stops a good ways short of allegory, it is hard not to see ourselves in it – which is what serious fantasy is always about. Or you can ignore all the theoretical babble in this paragraph and read A Land Fit for Heroes as a grand and eccentric adventure set in another world quite unlike any of the standard brands. Either way, you win. This book is not yet published, but it is finished. It tells the story of what happens to the radical and highly respected botanist, Hera Melhuish when she elects to stay alone, down on the planet called Paradise as it undergoes a wild and dangerous evolution. It tells of how she escapes (just) with her life, but marked for ever more, and of the love which she leaves on Paradise. “There may be one such still alive. One. One only. ONE in the whole of the entire univers. ONE. Think of that. One. The last. The only. The never, never ever to be repeated. And you and I are here to help it.”. The book is not really an Adam and Eve story, though some parallels exist simple because of the name Paradise. But the creatures of this paradise were never present in the Garden of Eden. Unpublished. This is a book for 11 – 15 year olds. It uses some of the creatures developed in full in The Disestablishment of Paradise, though the way the plot is resolved is different, as is the conclusion. It has been given a successful reading on radio. This a Handbook on Creative Drama. It provides a step by step guide on how to generate a theatrical performance using improvisation and reasearch. This book is also in the process of being written. All the research is complete. I have ”The Eye of The Queeen” and it has became my all-time favorite book. I’ve search everywhere for you books and i’m sorry to know they’re no longer published. Only makes my copy more valuable to me. I live in Portugal (Europe) and there’s not great possibilities here forme to find your books. But I keep trying to find an old edition of ”Pioneers” because i would love so much to read it. Keep writing anyway for you have a wonderful gift. Thank you for your wonderful work. Wish you all the best. 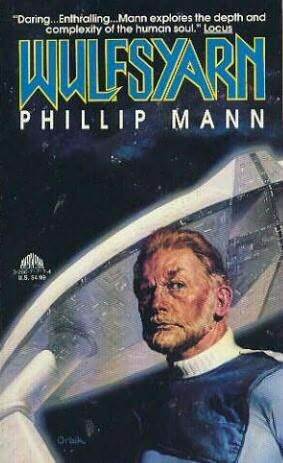 Phillip, perhaps you can now release these as e-books or self-publish them on Amazon, so people still have access to them? I read Eye of the Queen in 1988. Fascinated, I re-read it several times over the course of a decade. I have loaned that hardcover copy to many people over he years and, sadly, have lost track of it. The story stays with me. The power of the work itself inspired me to write and continues to do so. The only other book of yours I’ve managed to get my hands on is Wulfsyarn. 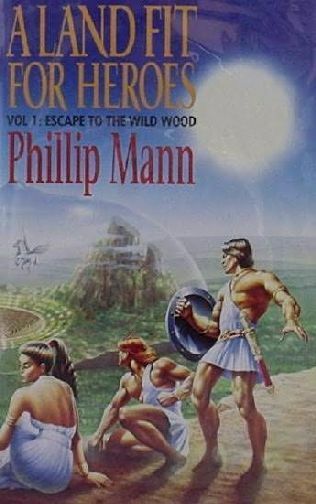 It’s also an engaging read, full with original species, races, customs; all serving as a point of comparison for the reader’s assumptions about being. Again, thank you for what you’ve created and shared. The two novels I’ve had the pleasure to read are transformative, motivational. Just finished The Disestablishment of Paradise – WOW! The story is wonderful and the imagery is stunning! The summary above does not do it justice. Where do people get imaginations like this?? ?